HARTFORD, Conn. (AP) — A push for the legalization of physician-assisted suicide is under way in a half-dozen states where proponents say they see strong support for allowing doctors to prescribe mentally competent, dying individuals with the medications needed to end their own lives. The large number of baby boomers facing end-of-life issues themselves has made the issue more prominent in recent years. Groups such as Compassion & Choices, a national end-of-life advocacy organization, have been working to advance the cause. Advocates received a boost from last year's ballot question in Massachusetts on whether to allow physicians to help the terminally ill die. Although the vote failed, it helped to spark a national discussion, said Mickey MacIntyre, chief program officer for Compassion & Choices. "The Massachusetts initiative lifted the consciousness of the nation and in particular the Northeast region to this issue that there are other alternatives patients and their families should have an opportunity to access," MacIntyre said. Bills legalizing assisted suicide are being considered in Connecticut, Vermont, New Jersey, Kansas and Hawaii — and in Massachusetts, where proponents decided to resume their efforts after the public vote, according to the National Conference of State Legislatures, which tracks legislative trends. There are also bills related to the issue under consideration in New Hampshire, New York, Arizona and Montana. In Connecticut, which has banned the practice since 1969, a group of lawmakers said Tuesday that the legislature's first public hearing on the subject would probably be held this month. At least two bills on the issue have so far been proposed in this year's session of the Connecticut legislature. If the General Assembly votes to legalize the practice, it would be the first state legislature to do so. Oregon and Washington have passed right-to-die laws, but they did so through voter referendums. Montana's Supreme Court has ruled that the practice of physicians helping terminally ill patients could be considered part of medical treatments. 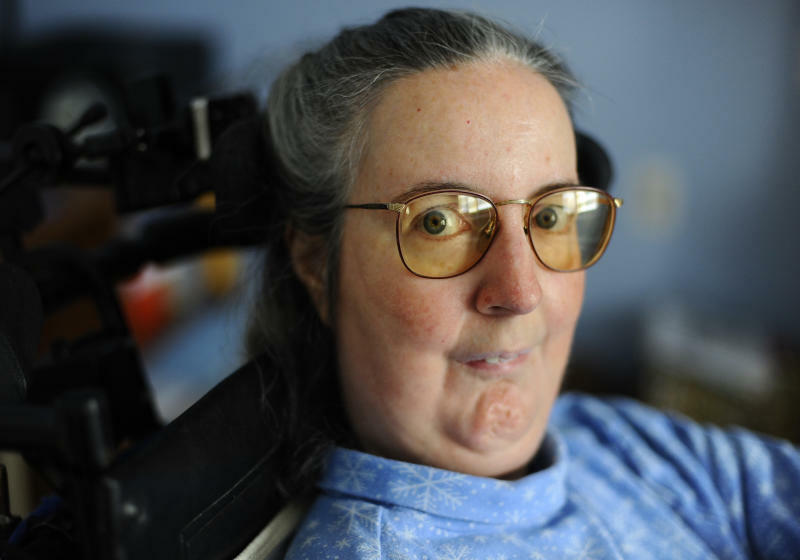 Thirty-four states prohibit assisted suicide outright. Seven others, including Massachusetts, banned it through legal precedent. Opponents claim the initiatives in Connecticut are being pushed only by outside groups like Compassion & Choices. "There's no grass-roots cry for assisted suicide in the state of Connecticut," said Peter Wolfgang, executive director of the socially conservative Family Institute. "This is mostly an out-of-state organization that has targeted the state of Connecticut. They look at the Northeast and think this is low-hanging fruit: 'We can conduct our social experiments here in the Northeastern United States.'" In fact, one bill has been filed in Connecticut this year that would establish a mandatory minimum prison term for someone charged with second-degree manslaughter after assisting another person with committing suicide. 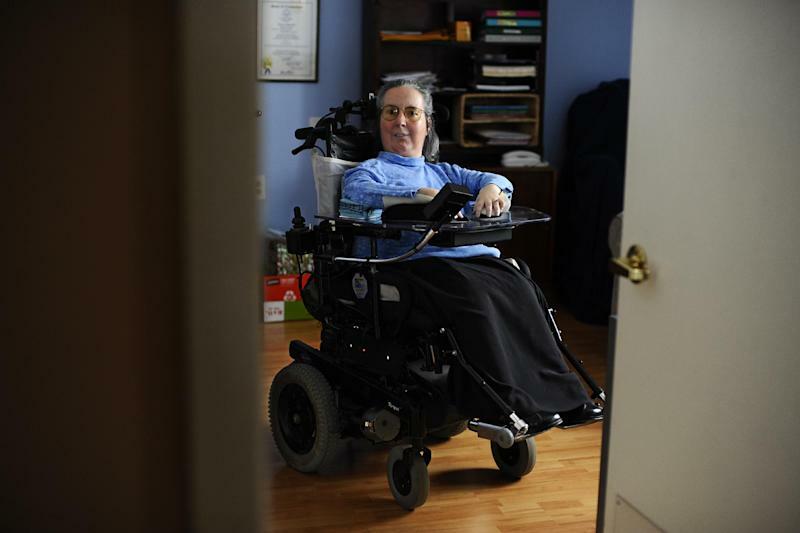 Cathy Ludlum, a disabled-rights activist from Manchester, Conn., who has spinal muscular atrophy, said she worries the issue of doctor-assisted suicide will not go away soon. "Until people are really educated about the issues, it's going to keep coming up, even if it's defeated this time," she said, adding how she wants lawmakers to focus more on "giving people a good life than giving people a good death." A measure dubbed "end of life choices" recently sped through the Vermont Senate Health and Welfare Committee but is expected to face a bumpier ride in the Judiciary Committee. In New Jersey, a bill that would allow doctors to prescribe lethal doses of medication for terminally ill patients wishing to take their own lives cleared an Assembly committee Thursday. That legislation would ultimately be subject to voter approval. Last November, voters in Massachusetts narrowly defeated a measure legalizing physician-assisted suicide for the terminally ill. Supporters of the concept said they hoped the debate would continue and marked the beginning of a conversation to improve end-of-life care. In Connecticut, Dr. Gary Blick, a Norwalk physician who specializes in treating patients with HIV and AIDS, said he believes the time is right for state lawmakers to push ahead with this issue. In 2009, he and Dr. Ron Levine, of Greenwich, along with end-of-life advocates, sued to seek a clarification of the state's decades-old ban on assisted suicide, citing concerns about Connecticut doctors being prosecuted for giving medications to their dying patients. A judge ultimately dismissed the suit, saying it was a matter for the legislature to decide. The 1969 Connecticut law states that a person who "intentionally causes or aids another person, other than by force, duress or deception, to commit suicide" is guilty of second-degree manslaughter. Blick said not all dying patients will want the ability to take their own life, but he said they should be given the choice. "This is not for everybody. We do realize there are people that do not believe in this for religious beliefs, and I respect that. There are no issues over that," he said. "But there are those subsets of people that do not want to go through the suffering that they have to go through."